Home » Olahraga » Benitez or Klopp, Who Madrid Fans options ? Real Madrid fans already know who the coach is suitable for the gush "Los Blancos" next season. Marca, one of the leading newspaper in Spain, held a poll to find out who the coach of Real Madrid fans choice. There are two most favorite names to replace coach Carlo Ancelotti if leave at the end of this season. They are Rafael Benitez and Juergen Klopp. Both coaches will be the status of "free transfer" next season because it ends a long contract with the club. Who fans choice? 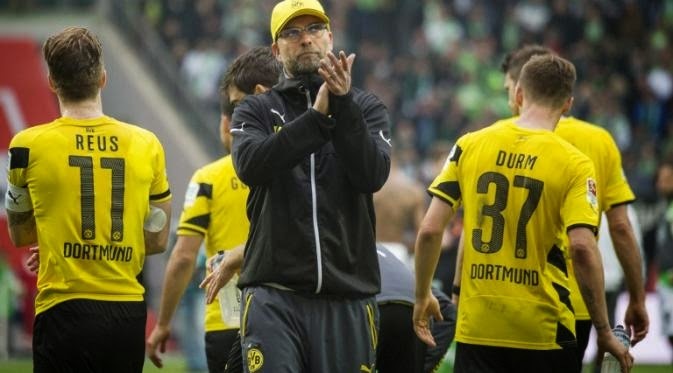 Klopp received the most votes of about 44 percent from 30 thousand incoming sound. And the second name so the choice was not Benitez fans. Fans vote of 14.7 percent to the former Madrid player, Michel. While the third name on the list of the most desired coaches are Sevilla coach, Unai Emery. He gets a vote of 10.8 percent. Joachim Loew next on the list with 9 percent turnout. While Benitez is predicted to be a strong candidate even in the top five with 8.9 percent of the vote. There are still other names to be selected by Marca readers. Surprisingly, the fans also choose Zinedine Zidane as a potential replacement for Ancelotti. Despite failing in Madrid C, but Zidane still get noise around 7.4 percent. Zidane still ahead of Porto coach and former coach of Spain U-21, Julen Lopetegui. He's getting 2.8 percent or superior sound a bit of André Villas-Boas (2.4%). Meanwhile, the agent Rafael Benitez, Garcia Quilon admitted if his client would have been happy if I could coach Real Madrid. "Currently there is no official, just rumors. Rafa had been a Madrid player, he also coached Madrid B early in his career so he did not have any enemies," he said. "I'm not a mind reader, but I am sure he (Rafa) will be happy to train Madrid in the future." 2 Responses to "Benitez or Klopp, Who Madrid Fans options ?" coba-coba bang syapa tau naik trafficnya !